Denali Princess Wilderness Lodge is located near the entrance to Denali National Park on the George Parks Highway. Not only are there amazing summer job opportunities, Denali Princess Wilderness Lodge also offers endless opportunities for hiking and backpacking right outside your door. 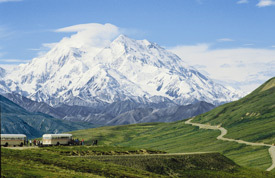 Hop on the park shuttle to take you deep into the national park with a chance to glimpse Denali, North America’s highest peak at 20,320 feet. The lodge is situated on a bluff overlooking the Nenana River, a popular destination for white-water rafters. 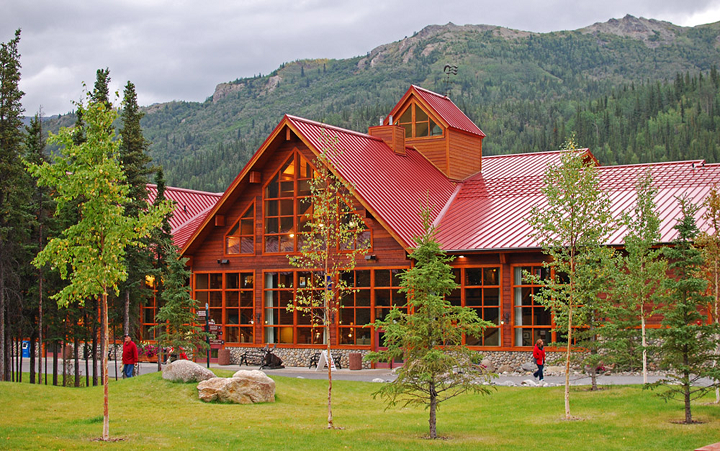 Denali Princess Wilderness Lodge is a seasonal property located approximately two hours south of Fairbanks and four hours north of Anchorage and is open from mid-May to mid-September. 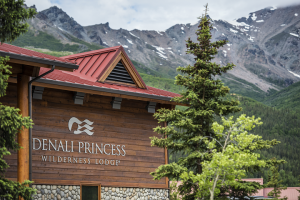 If you are interested in a job in Denali with a more informal atmosphere, you can apply to work at the Denali Princess Lodge and McKinley Chalet Resort Employee Services. Denali Princess Wilderness Lodge is located approximately one mile from the entrance to magnificent Denali National Park and 11 miles south of Healy. Both locations are quiet in the winter and erupt into a hotspot of activity in the summer months with easy access for exploration of the local flora and fauna and a possible awe inspiring view of Denali (weather permitting)! The lodge offers complimentary scheduled shuttles to the park visitor center and science learning center, as well as a selection of area hiking trails. One can access the six million acre park by choosing between a fully guided tour or a ride through the park on a shuttle bus. Though there is a small grocery/convenience store across the street from employee housing in Healy, a weekly shuttle to Fairbanks also offers employees a chance to access the conveniences of Alaska’s second largest city. Employee housing is located in Healy, 11 miles North of the lodge. Transportation to and from employee housing and the lodge is provided. Lodge RV Sites: there are a couple of available RV parks with sites available for rent for the summer in the Healy and Denali park area, but are not affiliated with Denali Princess Wilderness Lodge. Why work at the Denali Princess Wilderness Lodge? Denali National Park and surrounding area offers endless opportunities for wildlife viewing, hiking, camping, fishing, golfing, and national park education programs. You can even volunteer to walk the Denali National Park Service sled dogs! Discounts are available on most tours offered at the lodge Guest Service Desk, such as river rafting and flight seeing. Upon successful completion of the terms of the employment agreement, an attractive discounted travel program may be available, including cruises with Princess Cruises, Holland America Line, and Seabourn.